Quickly explore best of 8,000 acres! 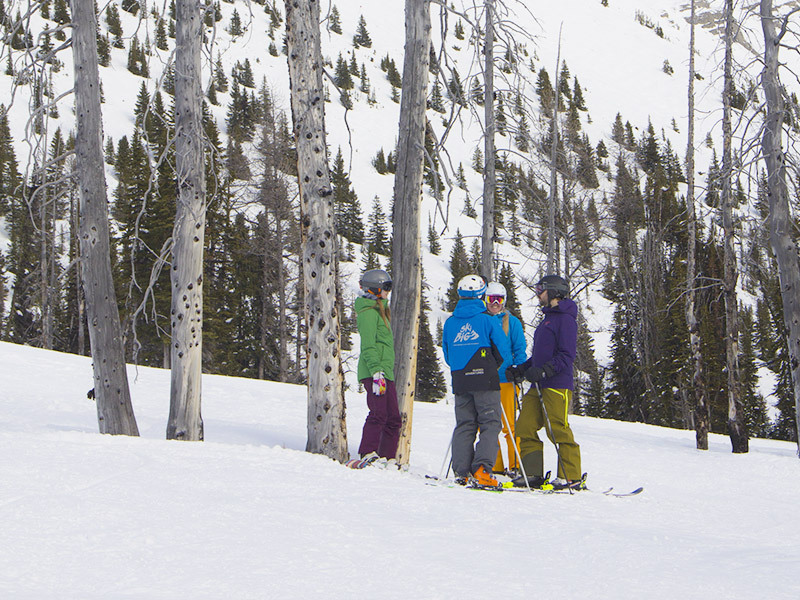 Designed for skiers & riders intermediate and above, groups are broken out by skill level and terrain preferences. Spend the day cruising with a relaxed group or amp up the adrenalin with fellow adventure seekers and thrill hunters, the choice is yours. 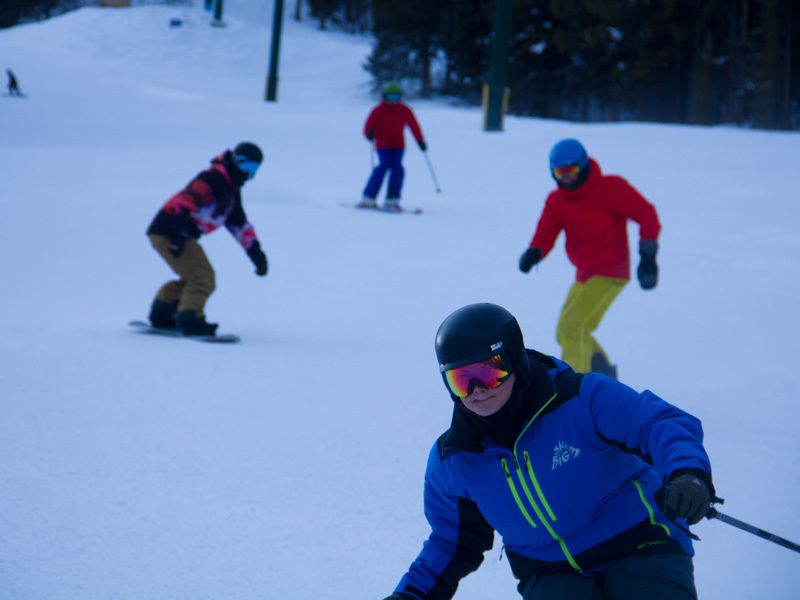 Both skiers and snowboarders are welcome to join all groups. Need more information? Find out what to expect with Guided Adventures. 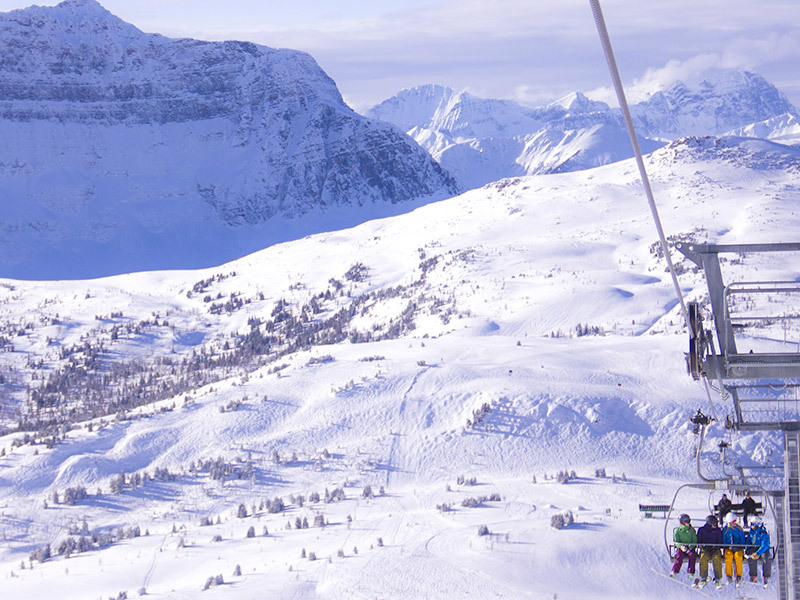 Perfect for skiers & riders who enjoy cruising green/blue groomed runs at a relaxed pace, while also enjoying the view. 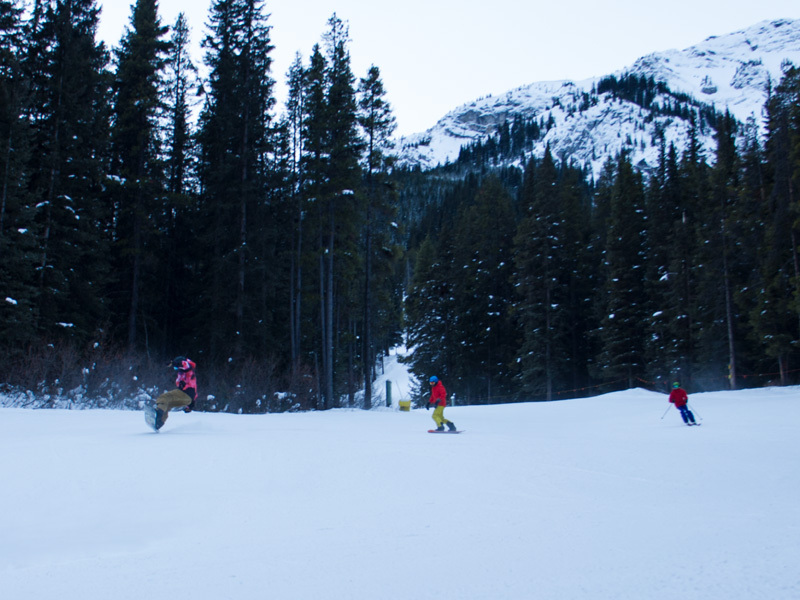 Intermediate to advanced skiers looking to explore the mountain and access a variety of terrain including steeper blues and easier blacks. Ideal for expert skiers & riders looking to unlock the secrets of the mountain, accessing those hidden powder stashes and hitting steeper chutes. Adventures available from relaxed cruising to thrill seeker. 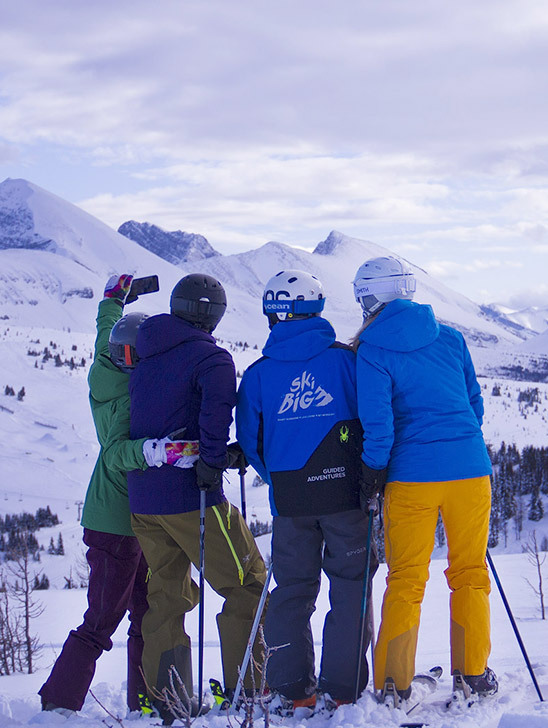 Save 15% when bundled with a SkiBig3 Ski & Stay Package. Not enough time for three days? Join a group for the day. 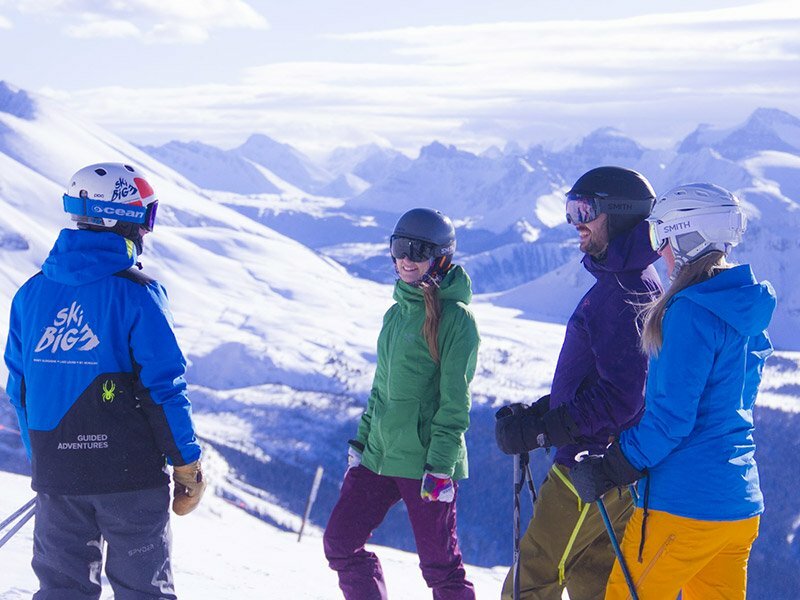 SkiBig3 Guided Adventures allow you to experience the best of Banff Sunshine, The Lake Louise Ski Resort, and Mt Norquay. 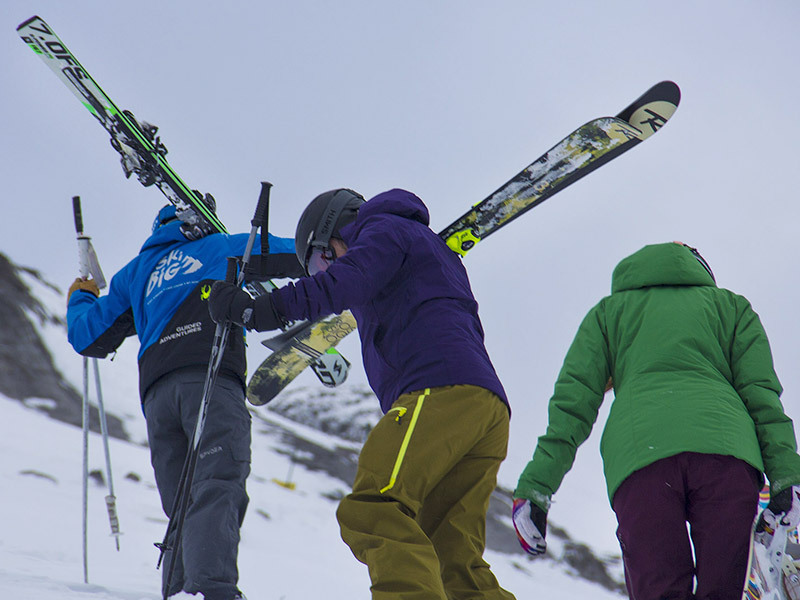 Designed for intermediate skiers & riders blue and above, groups are broken out by skill level and terrain preferences. Both skiers and snowboarders are welcome to join all groups. 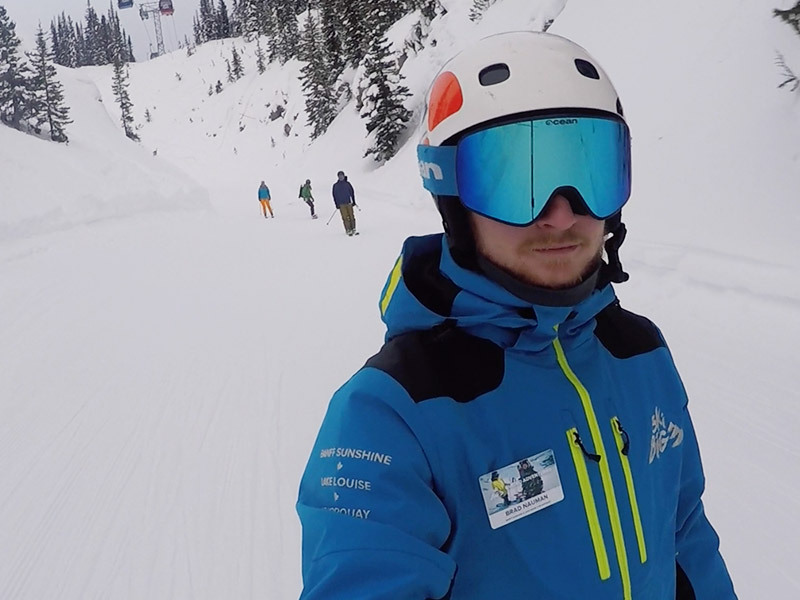 Tips and coaching provided throughout, with technical tips geared towards skiers. Learn more about what you can expect with Guided Adventures. 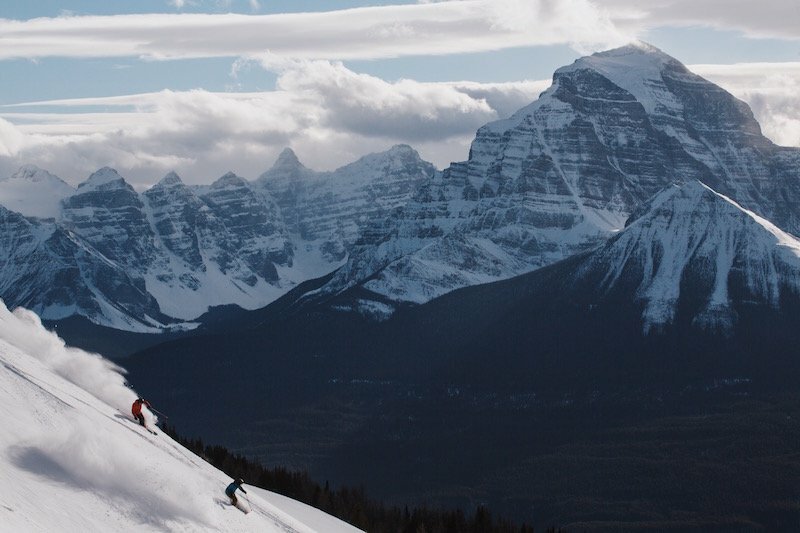 One guide for three-days when you start your program inBanff Sunshine. 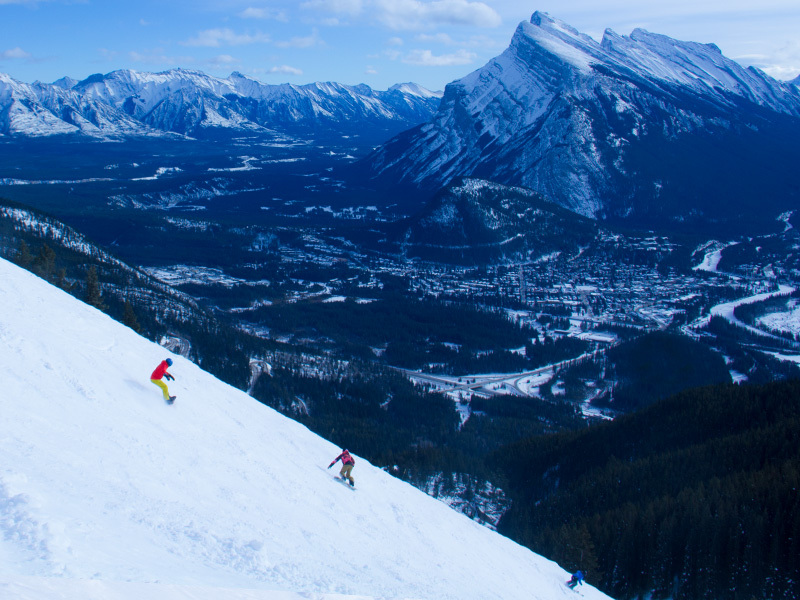 Start your adventure in Banff Sunshine and move through the program with the same guide for three consecutive days. 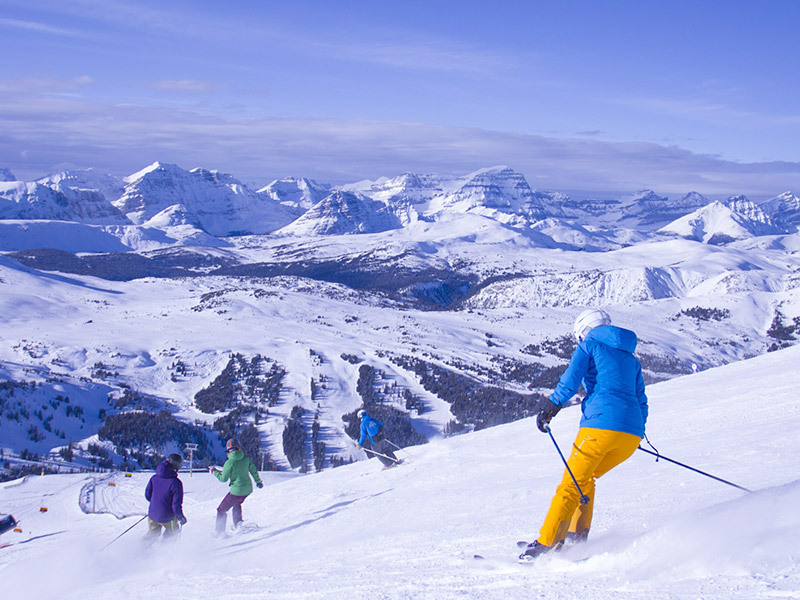 Explore all three resorts for only $440 CAD for 3-days, or 1-day for $176 CAD. Customize your guided experience for a one-on-one experience. Make the most of your vacation experience with a private guide. 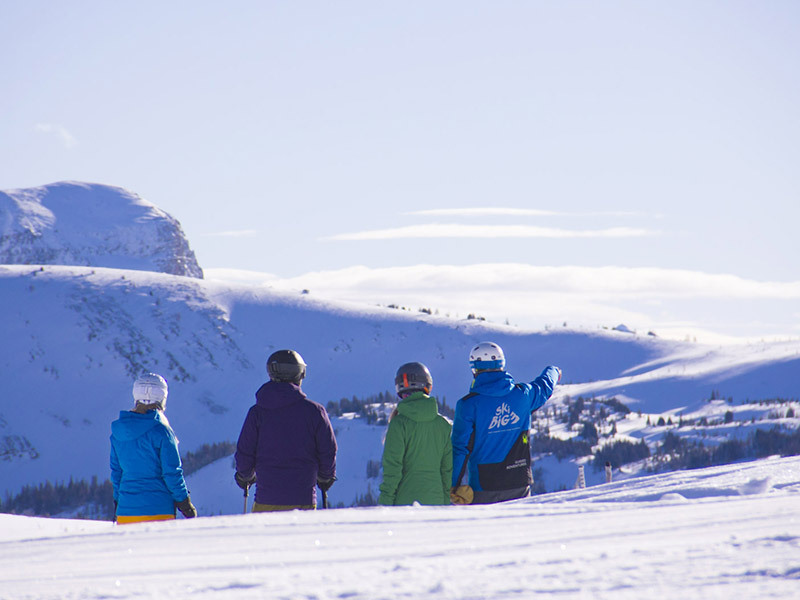 With a private guide, you or your group will get custom ­tailored experience from a top certified ski professional. Plus, you also get lift line priority. Private lesson groups can be up to 5 people at no extra cost. Private lesson groups must be of similar ability. Prices subject to 5% GST. SkiBig3 Lift Ticket not included in private guide price – must be purchased separately. Programs are non-refundable within 24 hours prior to start day.